So I went back and further messed around with the Mass Production Mammoth model, as well as came up with a breif description. While the X-66 Mammoth Tank was a wildly successful battletank in the First Tiberium War, the costs involved in producing and maintaining such a gargantuan beast of a war machine kept the GDI from being able to field it in large numbers. 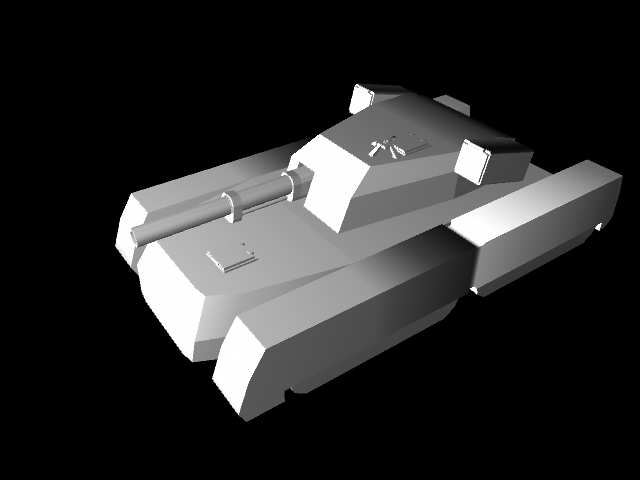 The R&D Team behind the X-66 proposed a stripped down version, the M-66a Mammoth Tank (Mass-Production Type). The M-66a is roughly 3/4 the size of its predecessor and has only one 120mm cannon. In place of the other cannon is a mounted .50 caliber machine gun to protect the tank against infantry. The M-66a keeps the Mammoth Tusk missiles as well, although the launchers have now been angled back 15 degrees in order to intercept aircraft more effectively. 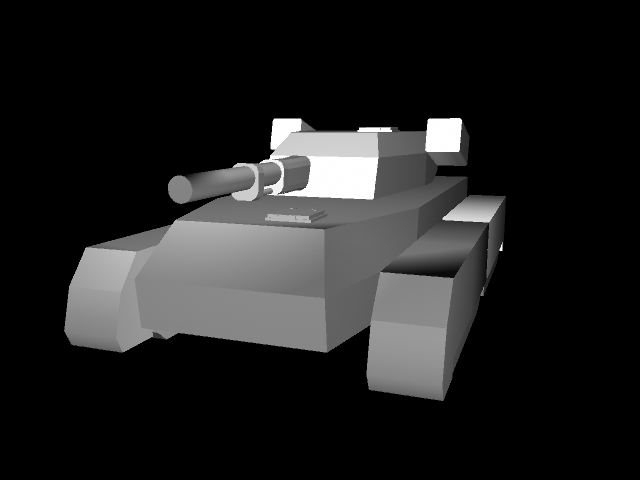 With this new configuration, the M-66a could be fielded in battle at half the cost of the original Mammoth Tank, as well as being more maneuverable while only sacrificing a minor amount of armor protection. However the First Tiberium War ended before the tanks could be deployed to the front, and as such the M-66a became a relic, quickly handed down to second-line units and Special Forces teams around the globe. Many of these mass-production models were lost to time, some of them found their way into the hands of the Forgotten, and others were used by police forces in riots that occured as large portions of the Earth were evacuated as Tiberium’s hold increased on the planet. So I couldn’t sleep too well last night. The end result of that was I went back to something I had worked on for a friend and turned it into something entirely different. Some people will note that it looks an awful lot like the X-66 Mammoth Tank from Command & Conquer: Tiberian Dawn. They would be right, since that’s what’s inspired this design. This is a conceptual rendition of what a theoretical “Mass Production” model of the Mammoth Tank would be like. A more cost-effective tank that sacrifices some firepower but still remains a viable force on the battlefield. 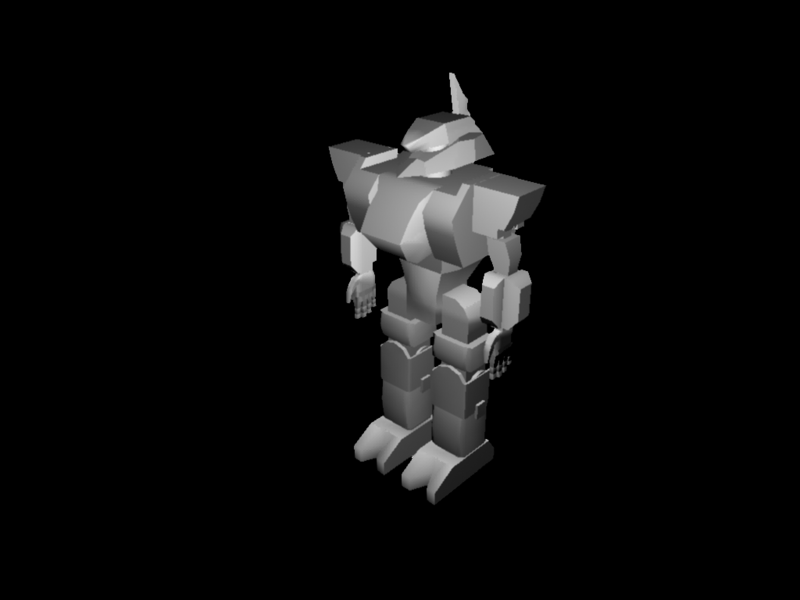 I’ll probably texture this at about the same time I get the Yabusame done. Now in refreshing Lemon-Lime, it’s Yabusame! For the heck of it I did a quick color test of the Yabusame, just flat stuff, no texturing to speak of. Apart from it now looking like the spokesmecha for 7up, it’s also colored based on the design of the Prototype of the Zaku II from Mobile Suit Gundam, which as the mono-eye sensor clearly indicates, is one of the main design influences. BEEP. MAKE 7 UP YOURS. UV Texture mapping is going to be a big issue here, since I did a lot of transforming and shaping and such. 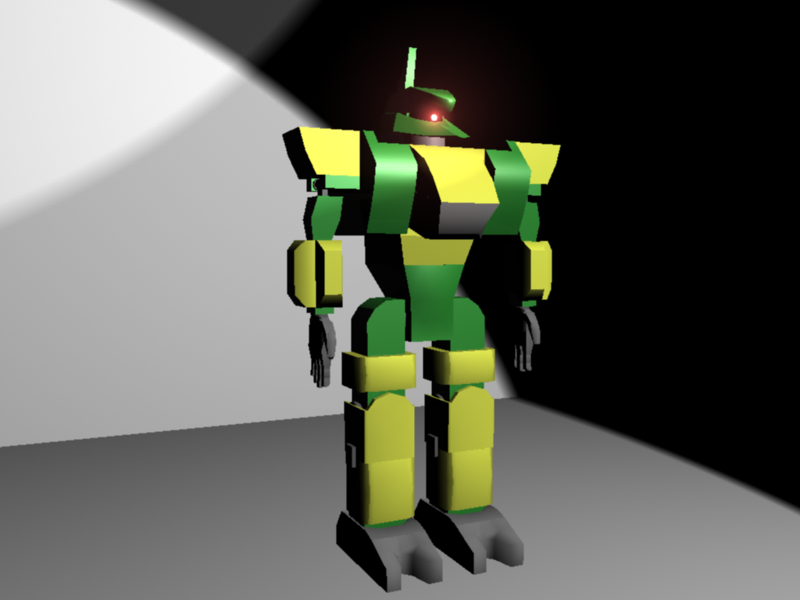 But first I need to optimize the geometry as best I can, since this comes in at roughly 3000 polys, which I’m sure is fine but in theory you’d want lower-poly models in a game where you’d have a lot of units running about. The Yabusame is coming along nicely now. I still have some optimization work, not to mention UV texturing, but it at least looks…complete, of a sort. Mechwarrior 4 still has a steady multiplayer community, unfortunately that community is full of campers and cheap pilots who’s only idea of combat is to strap as many PPCs as they can onto a mech, then hit their enemies so that the electronic interference from said PPCs makes it impossible for return fire. Yes it’s essnetially become a sniper battle with giant robots. This is not, nor will ever be, how mech combat is supposed to go. Personally I partially blame MekTek for creating new weapons that have faster recycle times, but I also blame the players themselves, who have forgotten the tactical nature of Mechwarrior and instead reduce themselves to popping up from behind hills, taking a potshot, and then hiding again. It’s like fighting a submarine if the submarine was walking and had long distance weaponry. And it is cheap. There’s no longer any balance, and I dread how this may flow into Mechwarrior 3015.